Estelle’s background is as a Personal Assistant and worked in London for international and property companies. She has also lived and worked abroad in South Africa and Iran. Estelle gained a Certificate in Event Organisation and enjoyed immensely running the careers events at a local secondary school. She has also worked in the Children’s Services assisting social workers and holds an Enhanced Disclosure certificate Police check for the Criminal Records Bureau (CRB). Estelle brings a breadth of experience dealing with a diverse range of people and has the ability to put them at ease. She has moved home eight times, and says that each time her priority was to make the home cosy whilst also being able to deliver the best organisational space. It gave her great satisfaction creating a calm and orderly environment. Estelle is friendly, empathetic and a good listener, who thinks it is important to build a rapport to find workable solutions. 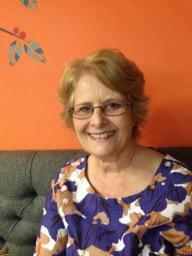 Estelle lives in Leeds, West Yorkshire where she enjoys singing and organising fund raising events in a choral society. Gardening and walking are among her other pastimes.